Turkish Kayseri rugs originate from the town of “Kayseri” which is located in central Turkey. The Turkish rugs from this town are commonly either made out of a combination of cotton and wool or out of pure silk. Because Kayseri was located on the silk trading rout, many of the influences on the rugs’ designs and patterns come from Iran and other regions that Kayseri traded with. Carpet weaving has been a very important practice in Kayseri for centuries, a tradition that has been passed on through families to this day. Usually these Oriental rugs were woven by a group of women who would pool their skills together in order to handmake these masterpieces. 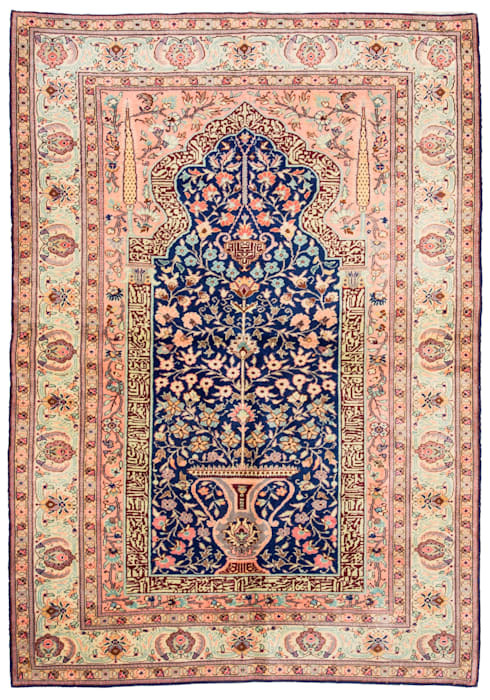 These rugs were very popular among the Turkish middle and upper-class for the past several centuries and continue to be popular both in Turkey and internationally today. The wool rugs are usually made of hand-spun wool and were traditionally colored using natural carpet dyes.